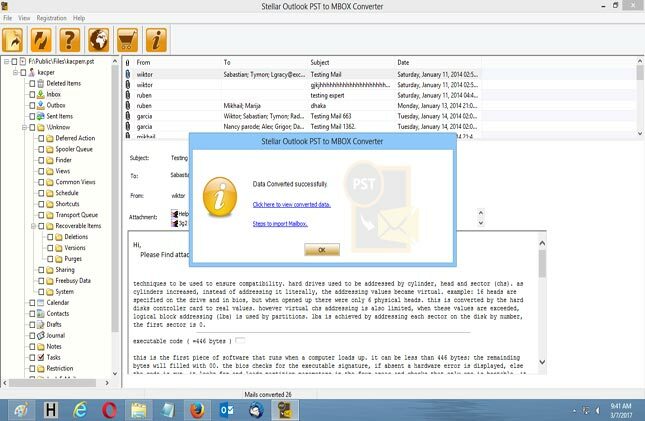 Step 1:- Launch Stellar Outlook PST to MBOX Converter software. Select Outlook Profile & MBOX Client dialog box will be appear. 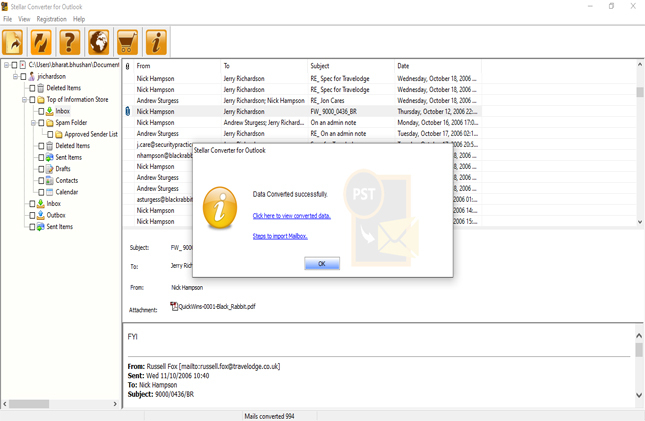 Step 2:- Choose 'Select Outlook PST File' to select a PST file to convert it into MBOX. If you know the location then choose 'Select PST File' or click on the 'Find PST File' to search all PST file from the any particular drive. Step 3:- Select the desired MBOX client from the scroll and then click 'Ok'. Step 4:- Scanning of selected .PST file is in process. 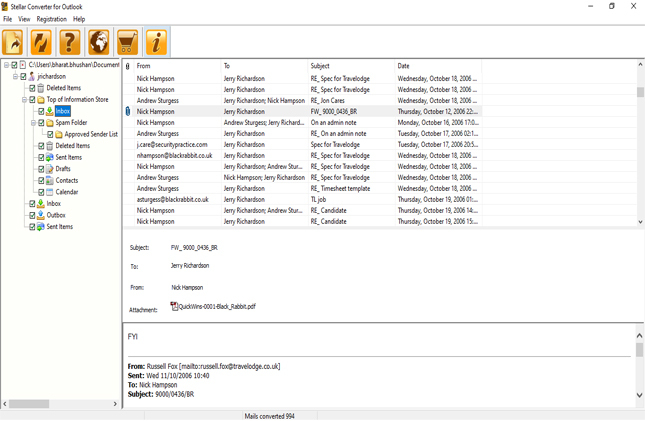 Step 5:- Now you can see the preview of mails. 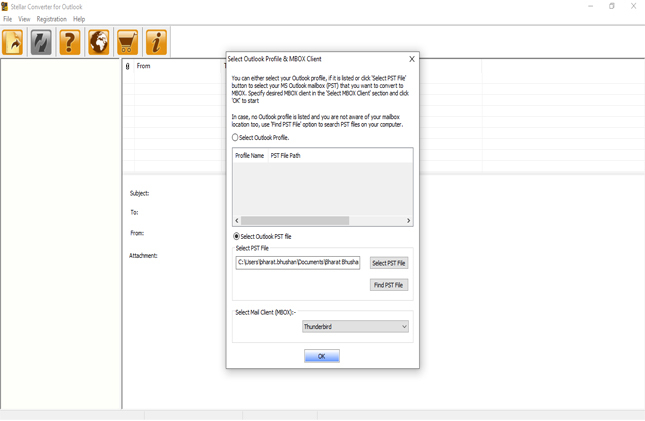 Step 6:- Browse desired destination path to save the converted MBOX file.